The family endured turbulent times in Afghanistan. In Kabul, life within their own four walls was happy and congenial, filled with love and good food, but outside their home, the city was on the brink of full-blown war. Rockets fell from the sky and people were shot dead, bodies left lying in the streets. Against the mujahedeen and the Taliban, they felt there was no way to fight against those forces with just a pen. The situation did not improve much after fleeing to Moscow. Adjusting to the culture and language proved to be fairly easy, for their parents travelled to Russia quite often for work and took the children there on holiday, but as refugees they were not exactly welcome. Additionally, during the communist regime, the mafia and police harassment fashioned an almost lawless society. The family wanted to escape to a better place. The family finally found peace in the Netherlands, a country they chose due to its open-minded culture. Amsterdam became their new home in 1996. 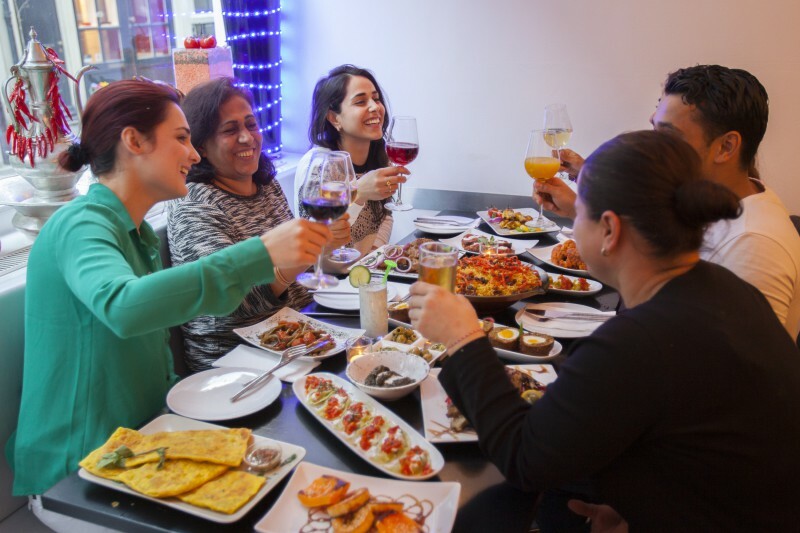 Ten years later, with the desire to build a business of his own, the second eldest son, Fahim, had the idea to start a restaurant to introduce the Dutch to the Afghan culture and cuisine. War is the word people often associate with Afghanistan, and he wanted to shatter that stereotype, showing the softer side of his country. Restaurant Mantoe, the first Afghan restaurant in the Netherlands, opened its doors in October 2008.